History Abounds at This Donald Ross Design. So many Canadians associate Dunedin Florida with a spring pilgrimage filled with anticipation for a successful season for our beloved Blue Jays. Home to Toronto’s spring training campus and their Class “A” farm team since their inaugural year in 1977, this northern Tampa suburb has a strong connection to Canadian Snowbirds looking to get a head start on their baseball fix. One of the oldest towns in Florida, settled by Scottish immigrants and given the Gaelic name for Edinburgh, Dunedin has embraced its old world roots for decades. Long before the Jays staked claim to this charming seaside city, legendary Scotsman Donald Ross built one of his over 300 designs on a rolling piece of land a block from the Gulf Coast. 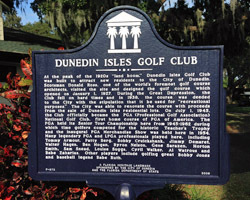 This historic club has roots dating back to 1927 as the Dunedin Isles Golf Club. Built to attract residents to the area, the Club eventually became the first home to the PGA of America in 1945. 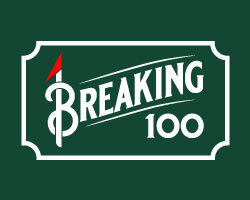 From 1945 to 1962 these historic links played host to the Senior PGA Championship, as well as being home to the original PGA Merchandise Show in 1954. 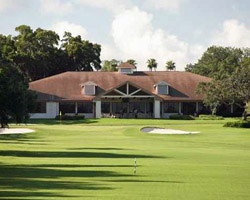 Now returned to its origins as Dunedin Golf Club, this local area favorite is both a living historic tribute to the game and superb challenge for those attempting to conquer an original Ross design. Currently listed on the National Registry of Historic Places, Dunedin Golf Club has recently undergone an extensive renovation focussing on returning the greens and bunkers back to Ross’ original specifications. The course is proud of its roots and presents a true Ross challenge. Typical to the style of the era Dunedin features raised greens protected by deep soft sand bunkers waiting to punish anything slightly off target. Filled with doglegs, elevation changes and strategic use of the Curlew Creek, the design gives you room off the tee but places demands on your approaches to the tricky sloped greens. The routing is split by Palm Boulevard, with the front side playing east away from the Gulf. 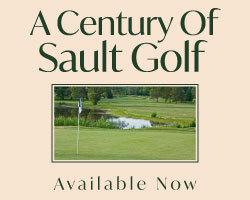 The opening four holes of this historic course might be considered one of the most difficult stretches in the state. From the tips, playing 424, 466, 185 and 433 to a par of 15, only the most skilled players will have a chance to approach par. Don’t let the downhill tee shots fool you with a sense of extra distance off the tee. Huge live oaks cloaked in moss hinder the sightlines requiring shaped approach shots into well protected raised greens. Woods or hybrids will be the club of choice if the centers of the fairways are not found on these devilish doglegs. The back side begins in the shadows of the golf shop heading towards the surf. The par 3 11th is the first hole that brings water into play. Both Curlew Creek and a large pond left make the long iron shot that much more testing. Playing back to the clubhouse terrace on the uphill 13th par 4, you need to take an extra club to overcome the elevation. The second of the water holes is a downhill candycane-like dogleg left wrapped around a pond. It tempts you to pull the driver and swing for the fences, but the best play it to hit to the corner and finesse a mid iron into the tight green. The par 5 15th is a risk reward beauty making you think about how to overcome the “Curlew Crossing.” The round finishes with the #2 handicap hole a straight away uphill par 4 climbing all the way to the clubhouse with trees left and OB down the right forcing 2 mighty strikes to get home. The course is quite playable with lots of space surrounding the fairways and green sites. The huge oaks separating the course from the surrounding homes come into play when you are a little astray. The raised Ross greens will force an extra club on your approaches but be careful of distance control for fear of the fall aways into those nasty Ross bunkers. 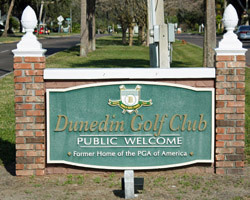 Steeped in history and proud of its heritage, it is no wonder Dunedin has been included as one of the 50 facilities in the newly created Florida’s Historic Golf Trail. 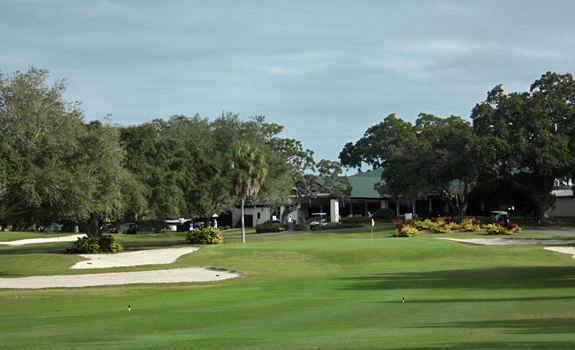 Whether in town to enjoy a spring get-a-way or to cheer on the boys of summer, a side trip to the Dunedin Country Club is an absolute must for the golfing enthusiast.